Bill McKibben states in the preface that “global warming is no longer a philosophical threat, no longer a threat at all. It’s our reality.” Can you see this changed reality where you live? Do you notice anything different about your own environment? There are a number of statistics in the opening chapter that show how the earth has already been changed—the oceans are more acidic, mosquitoes and dengue fever more widespread, storms are bigger and more frequent. Were you surprised by these facts? Before reading the book, did you think of global warming as more of a problem for future generations—not yourself? What do you make of Bill McKibben’s assertion that as of now, growth is an inherent component of our economy? Can you imagine a world where economic growth isn’t sought? What do you think would have to happen for that to be feasible? Have you ever before considered the enormity of the financial implications of climate change? Do you think that if it was better understood, people would feel more strongly about making the changes needed to one day get back to 350 ppm? Global warming is affecting everyone, whether they realize it now or not, but none more so than those people living in third world countries. Given the challenges that lay ahead, what kind of future can those people expect? Do you think that the governments of more prosperous countries will eventually come to their aid? Do you agree with the author’s assertion that because we no longer have—or need—a “national project” we also have less of a need for a large, centralized government? Will our federal government turn its attention to maintenance rather than growth? How do you think such a change could come about? What do you think about the development of increasingly local economies? In what ways do you think they would improve our lives? Are there drawbacks? Do the positives outweigh the negatives? Is there even a choice? Consider the example of the Mayan peasants whose overall food output is 20 tons per acre as a result of extensive intercropping. Why do you think there aren’t more people who farm this way? Is it feasible for only smaller farms? Do you believe that the advantages of this system will eventually lead to the proliferation of small farms, even in the United States? Or are people too wrapped up in the idea that “bigger is better”? 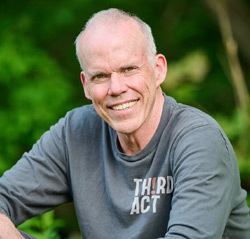 Bill McKibben states that besides both tasting better and being better for you, eating locally will be a necessary means of coping with climate change. What do you think about that? Can you imagine altering your diet to eat locally—have you already? Do you agree that becoming more neighborly will help us cope with life on Eaarth? Do you talk to your neighbors now? Do you wish that you did? How does modernity—as it stands now—limit or enhance our ability to make friends with those around us? Think about the author’s predictions for the internet. Do they give you hope for what’s to come? Have your thoughts and feelings about the consequences of global warming changed as a result of reading this book? Do you feel frightened about the future or hopeful? Both?